The Berg - a creation by architect Jakob Tigges - is the latest source of pride for Berliners. This artificial mountain covers almost the entire Tempelhof, an old airport. A park like no other. And I am in Berlin to make the first descent! The historic Tempelhof airport was closed in 2008, and has since then been reserved for recreation. Biking, climbing, hiking, camping, even paragliding, ... the possibilities are limitless. The mountain and its views are like a dream that has captivated the Berliners. 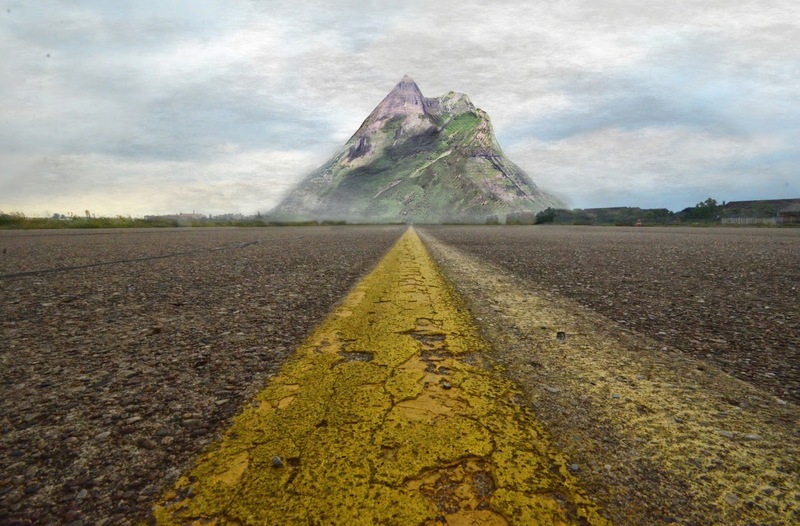 Just the thought of the mountain has caused other cities to be envious. Suddenly the biggest skyscrapers, Guggenheim museums, and and opera houses seem nothing compared to what Berlin has. Climbing to the 1000 meters high The Berg is tough in the hot Berlin summer. 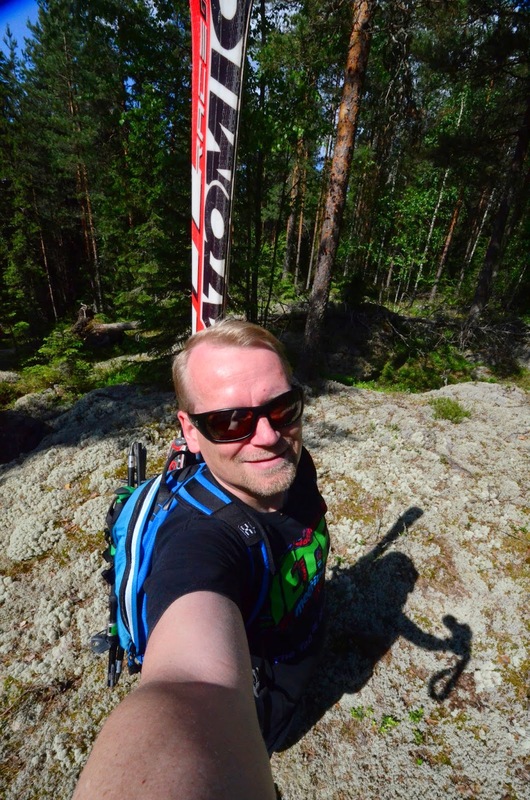 At this time of the year, there isn't much snow, but I can still ski on the moss and lichen that covers the steep parts of the mountain. 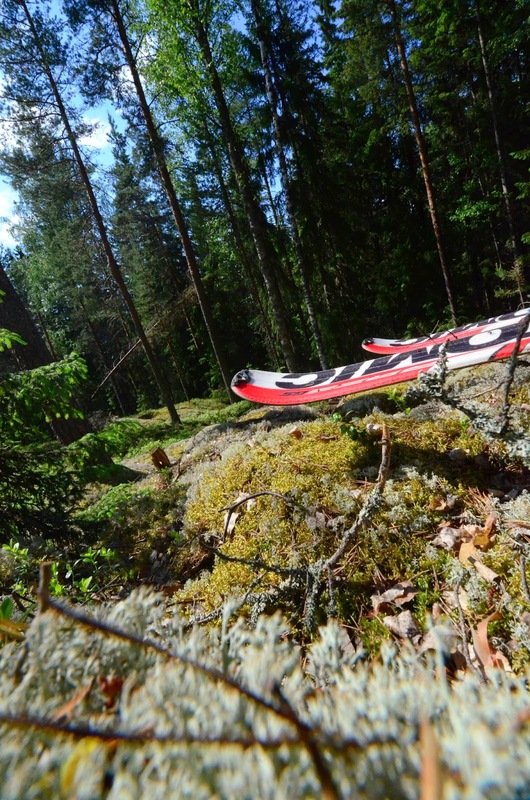 My skis slide better on moss than on grass, and the recent rain helps me go even faster. And it is much more fun to fall on moss than on grass! This is my first time skiing on moss, and I take a couple of falls. But here and there rocks stick out of the ground, as do tree stumps. And there are drops in the rockface. Selecting the right route is crucial. Skiing what you climbed is the safest way. Above: A view from the old terminal. So this was the first descent of The Berg. At least for the moment, however, The Berg remains an imaginary mountain. 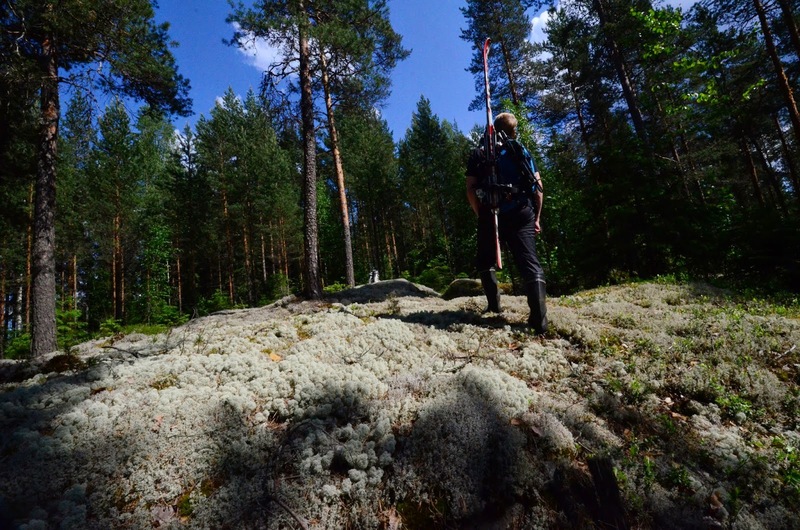 But what could be more rewarding than thinking about how to construct a perfect mountain? And reality is not required for enjoying the mountain. As the architect himself notes: "Tourists would come to the site to take photographs of the mountain that isn’t there". The mythical plan opens our eyes to see things that we were unable to see before, to imagine the unimaginable. Perhaps paradoxically, the ski runs on this article are real. Imagination can affect reality. What is your imaginary mountain? timing delay shots when you are alone is very difficult. 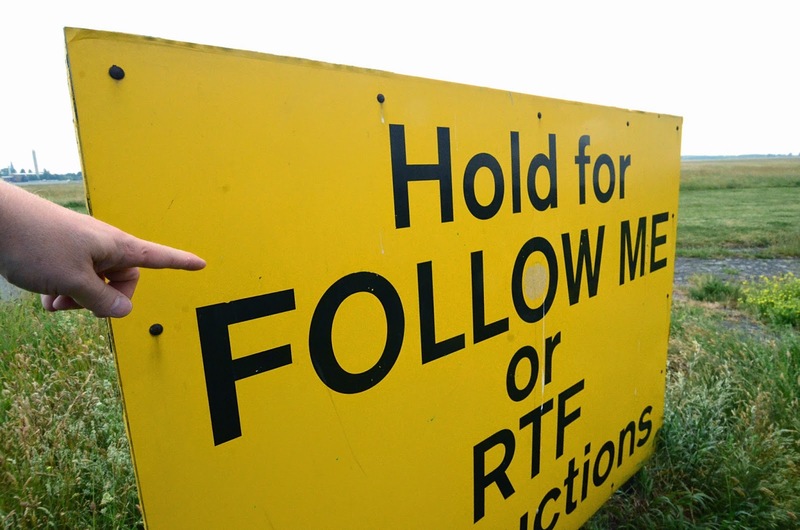 Above: Old signs at the airfield. Photos and videos (c) 2014 by Jari Arkko. The audio track used in the video for the John F. Kennedy speech has been taken from wikimedia. Two of the pictures are taken from The Berg project homepage. Thanks to Désirée for coming up with the title for the article. More information about The Berg can found from the following links:      . Tämä artikkeli löytyy myös suomeksi. A long, hot summer. And boring. 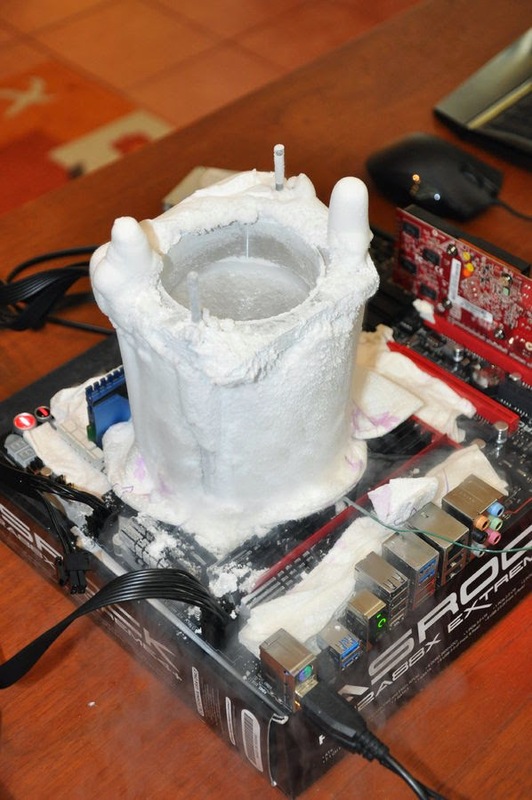 But then I found some leftover liquid nitrogen from an overclocking experiment. 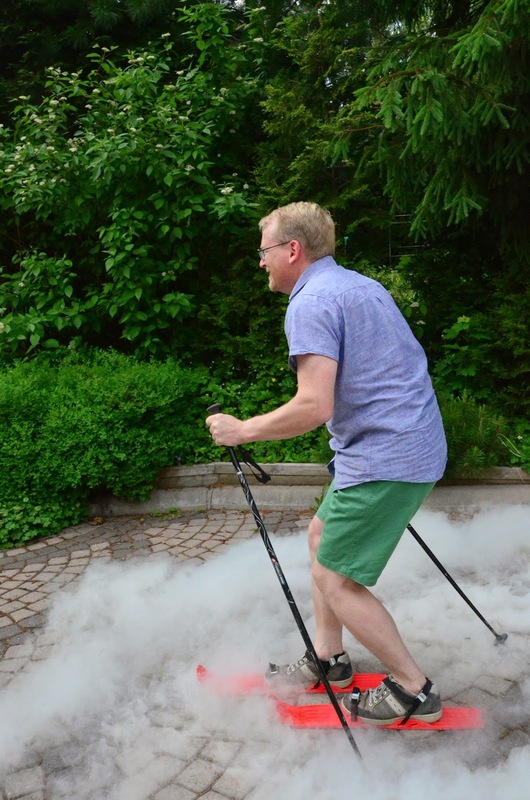 Would skis work on liquid nitrogen? This was an obvious opportunity for a physics test. 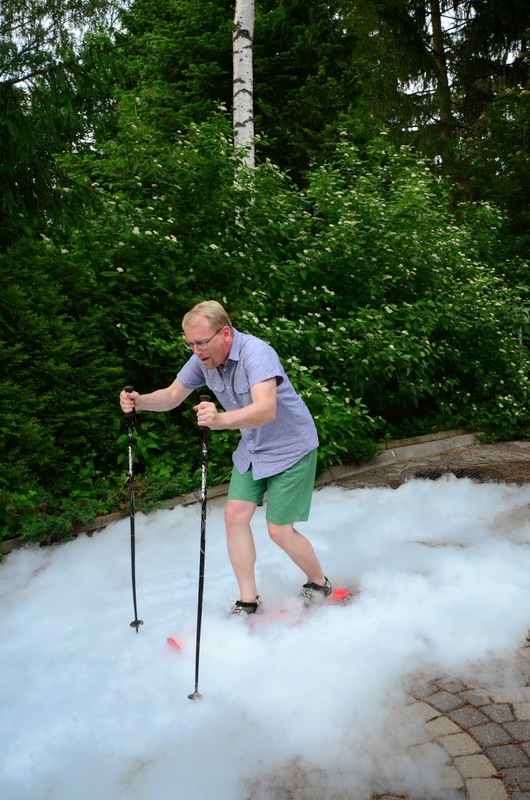 Pour the nitrogen on the small slope in my yard and attempt to ski the liquid-covered surface. I put on my Orthex miniskis, grabbed a pair of poles, and skied the slope. The skis slid on the surface... pretty much like they do on any rock surface, i.e., not very well. 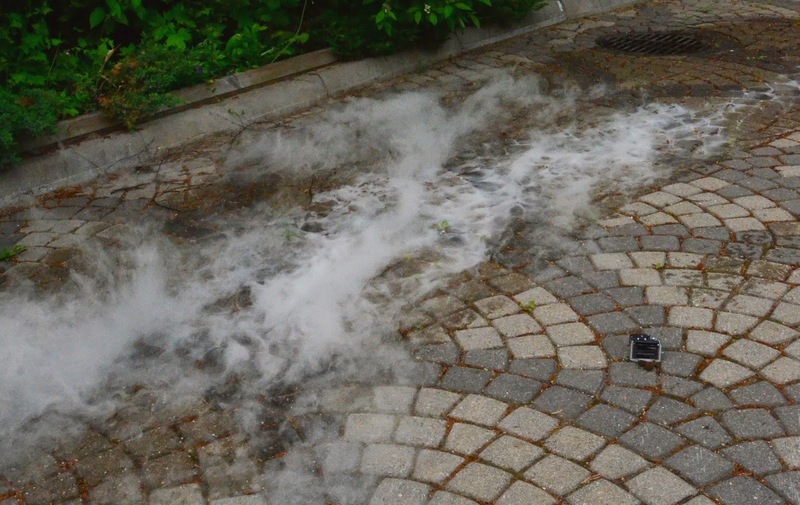 Much of the nitrogen disappeared in a white cloud. But there was a little bit of ice formed on the rocks. (See the picture of the surface further down below.) But still, it was not a bad ski day. The cloud was nice, even if I used only a small amount of the liquid. With more liquid, the icing effect would perhaps have been more noticeable. But at the same time, the risks would have been higher. I wouldn't want to fall on a pool of liquid nitrogen, for instance. WARNING: Liquid nitrogen is extremely, extremely dangerous. Physical contact with it is obviously dangerous. But it is even more dangerous as an unnoticeable gas that could replace oxygen in the air. Photo and video credits (c) 2014 by Jari Arkko. Tämä blogi löytyy myös suomeksi.